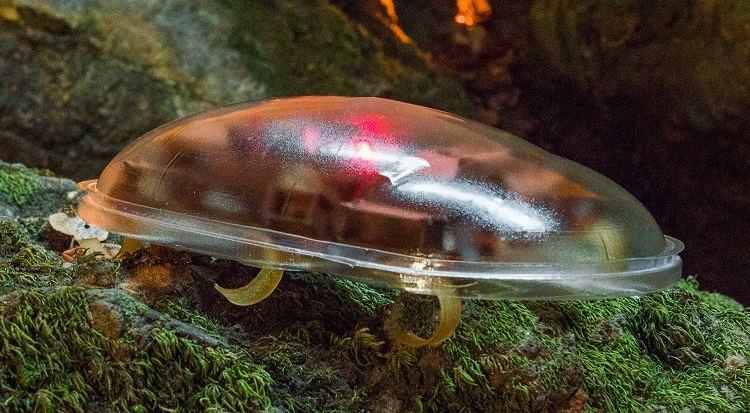 The goal of the Biomimetic Millisystems Lab is to harness features of animal manipulation, locomotion, sensing, actuation, mechanics, dynamics, and control strategies to radically improve millirobot capabilities. 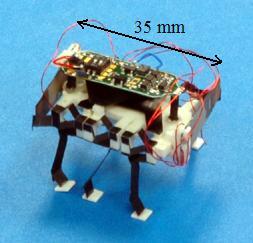 Research in the lab ranges from fundamental understanding of mechanical principles to novel fabrication techniques to system integration of autonomous millirobots. The lab works closely with biologists to develop models of function which can be tested on engineered and natural systems. 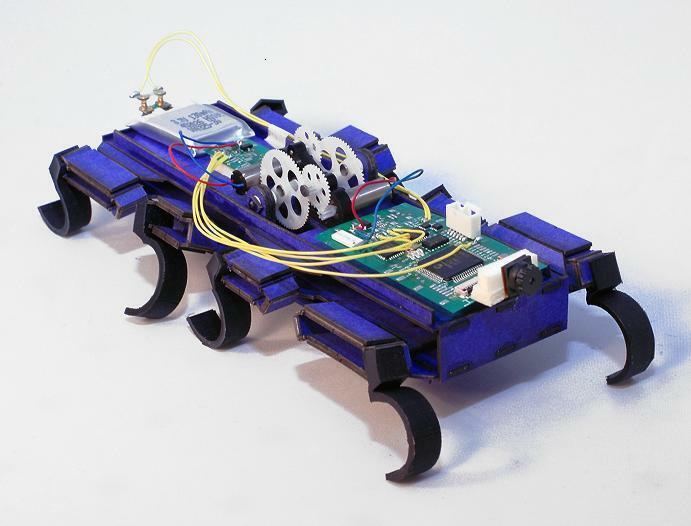 The lab's current research is centered on all-terrain mobility using high power density, terrain coupling, cooperation, and bioinspired principles. 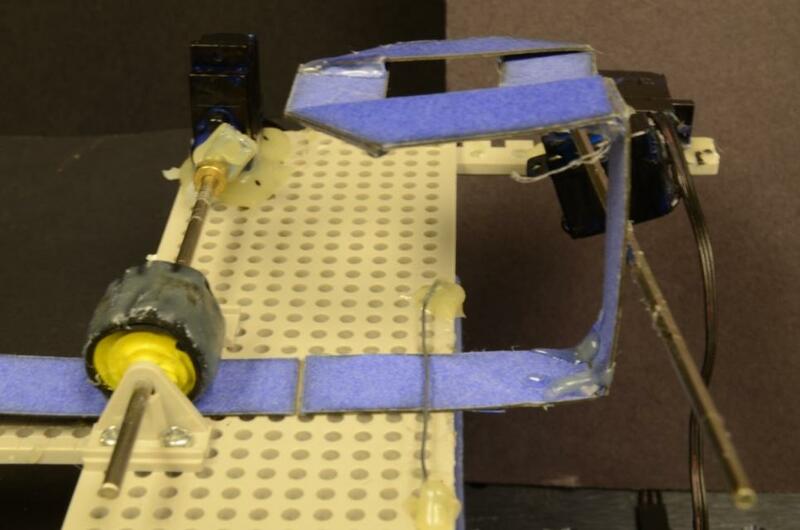 We developed a deadbeat foot placement hopping controller for an untethered monopedal robot, Salto-1P. 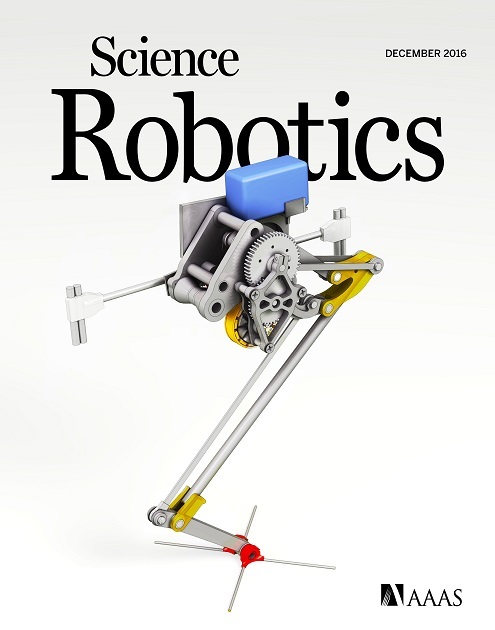 The robot demonstrated precise foot placement even on trajectories with aggressive changes in speed, direction, and height: in a random walk, its error standard deviation was 0.10 m. Foot placement precision is tightly limited by attitude control accuracy, requiring attitude error less than 0.7 degrees for some tasks. Justin K. Yim and R.S. Fearing, (IROS 2018) and movie . RAFA is a new thin-film electrostatic actuator which generates electrostatic pressures up to 156 Pa in repulsion and 352 Pa in attraction when operating at 0 to 1.2 kV. 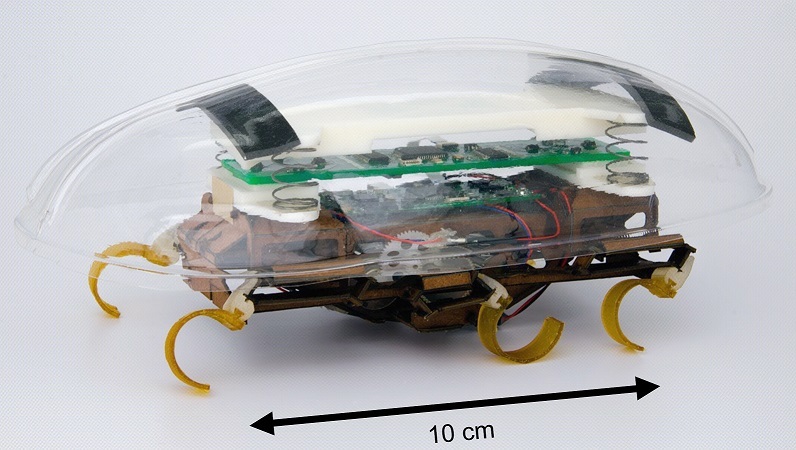 RAFAR, a 132 mg tethered milli-robot, crawls at 0.32 mm/s with anisotropic friction feet. E.W. Schaler, L. Jiang, C.Lee, and R.S.Fearing, (MARSS 2018) and movie . Congratulations to Ethan, Loren, and Caitlyn for Best Student Paper Award! 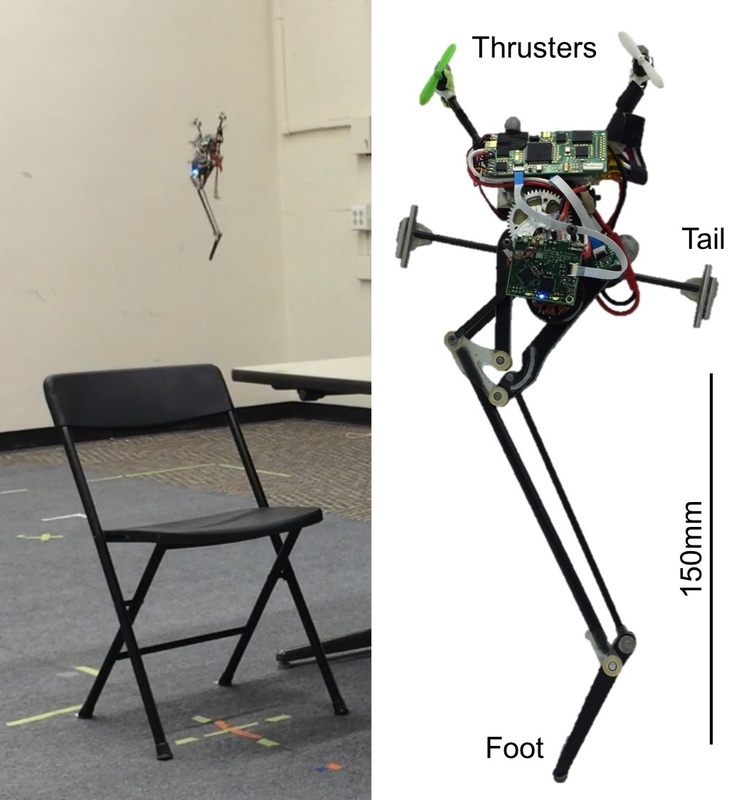 Salto-1P uses aerodynamic thrusters and an inertial tail to control its attitude in the air. 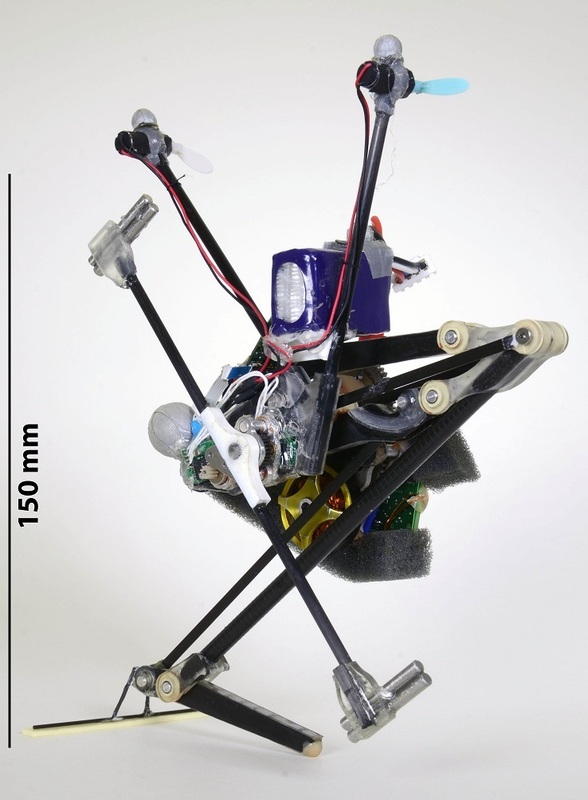 We present studies of extreme jumping locomotion in which the robot spends just 7.7% of its time on the ground, experiencing accelerations of 14 times earth gravity in its stance phase. D.W. Haldane, J.K. Yim, and R.S. Fearing, (IEEE IROS 2017) and video. Congratulations to Duncan and Justin for IROS 2017 Best Paper Award! 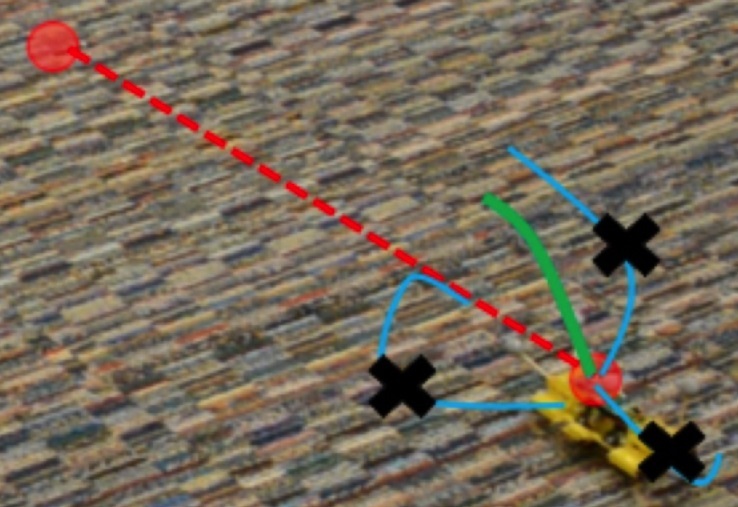 A single degree of freedom tail gives VelociRoACH the capability to dynamically self-right. 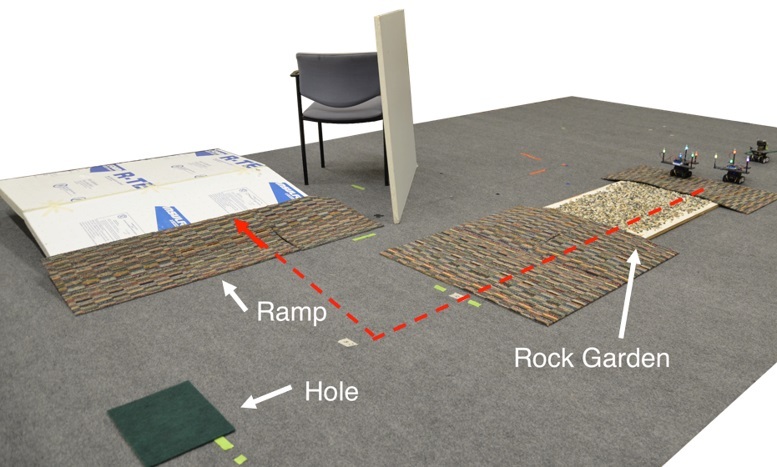 Open-loop experiments on terrain with varying friction and roughness show that VelociRoACH can dynamically self-right in just 256 ms. C. Casarez and R.S. Fearing, (IEEE IROS 2017) and video. 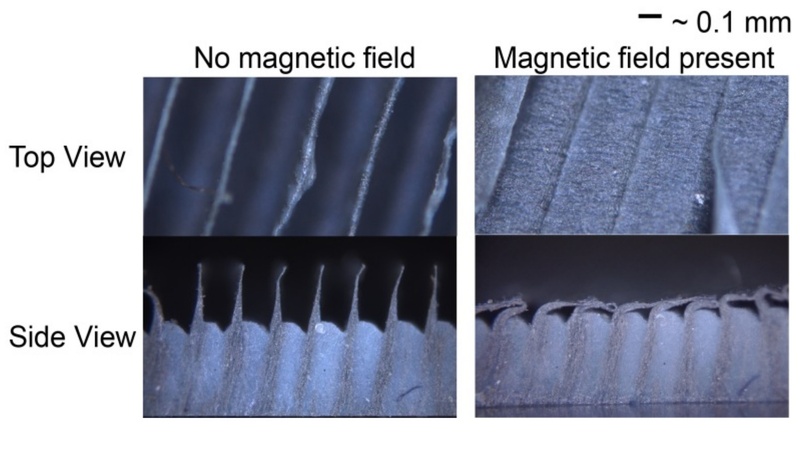 We propose the concept of robotic ribbon folding for automatic fabrication of robot structures. 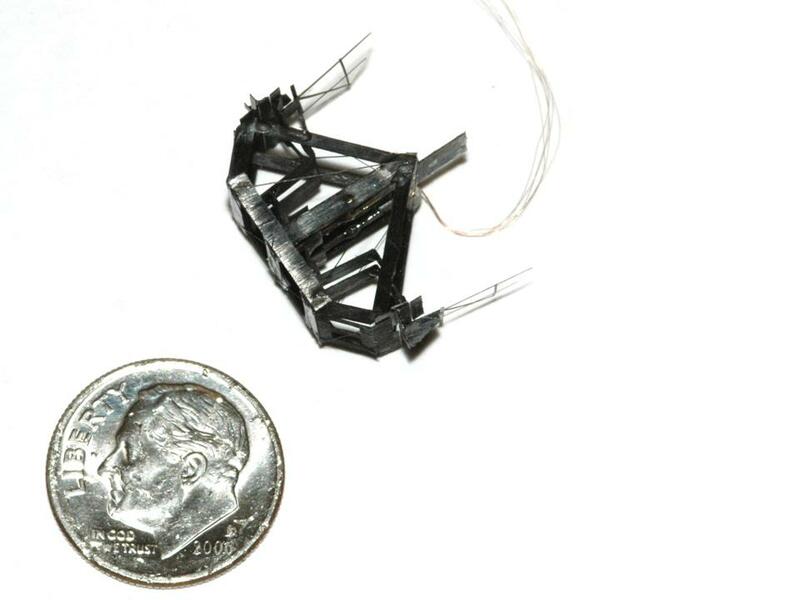 We demonstrate robotic ribbon folding into 2D and 3D static structures, and planar kinematic linkages such as a simple non-crossing four-bar mechanism. L. Wang, M.M. Plecnik, and R.S. Fearing, (IEEE ICRA 2016). 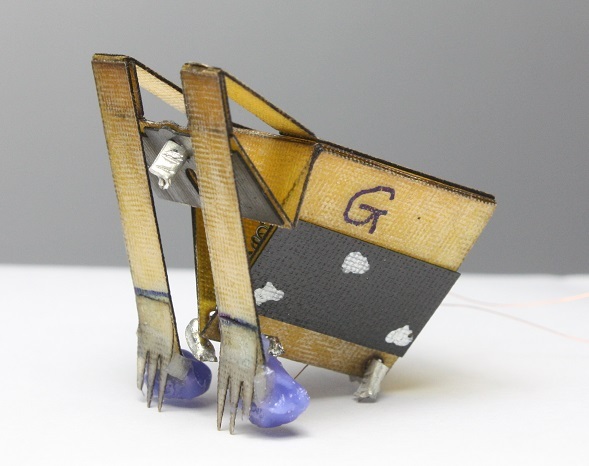 We developed primitives using quasi-static force analysis to enable a pair of underactuated millirobots to cooperatively climb a step. A tension controlled tether provides a necessary additional degree of freedom. C. Casarez and R. Fearing, (IEEE ICRA 2016) and video. 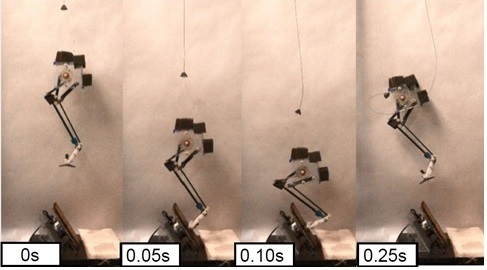 We created a low-cost, light-weight force-torque sensor using photointerrupters with force sensivity of 17 mN. 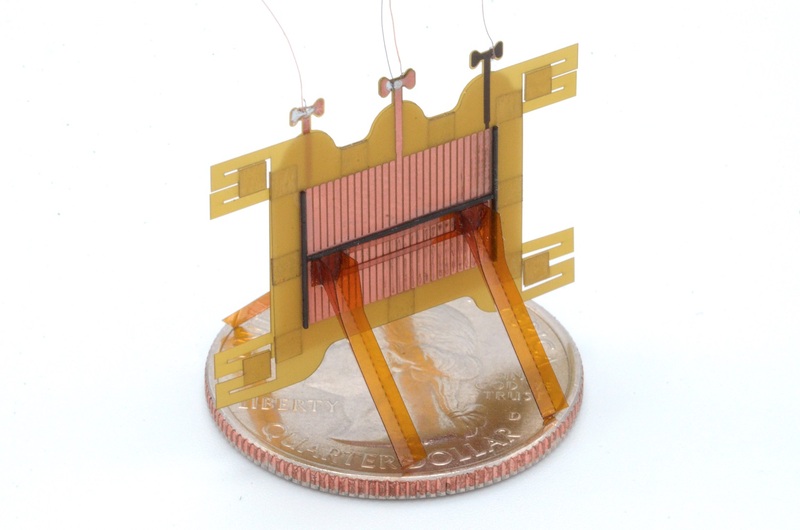 This sensor can be used for body contact location as well as environment drag forces. 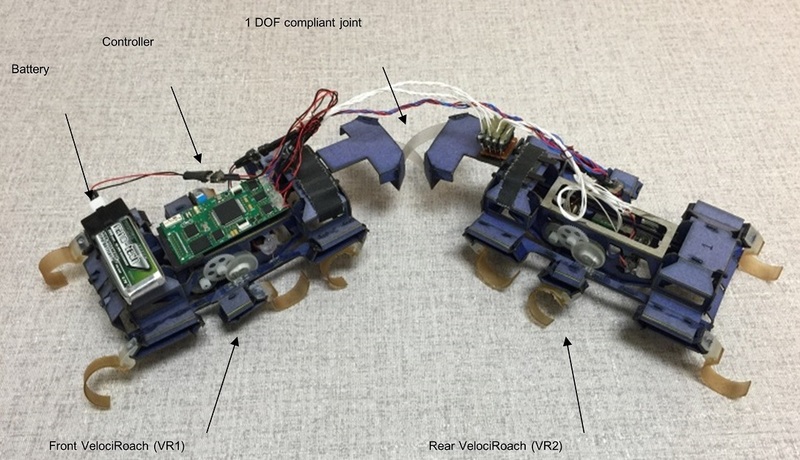 J. Goldberg and R. Fearing, (IEEE IROS 2015) and video. 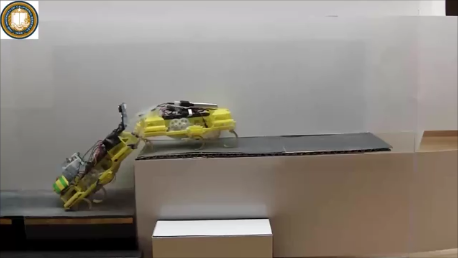 The goal of this work is to develop high performance ambulating milli-robots using minimal actuation and passive stabilization mechanisms, combined with onboard high level control. 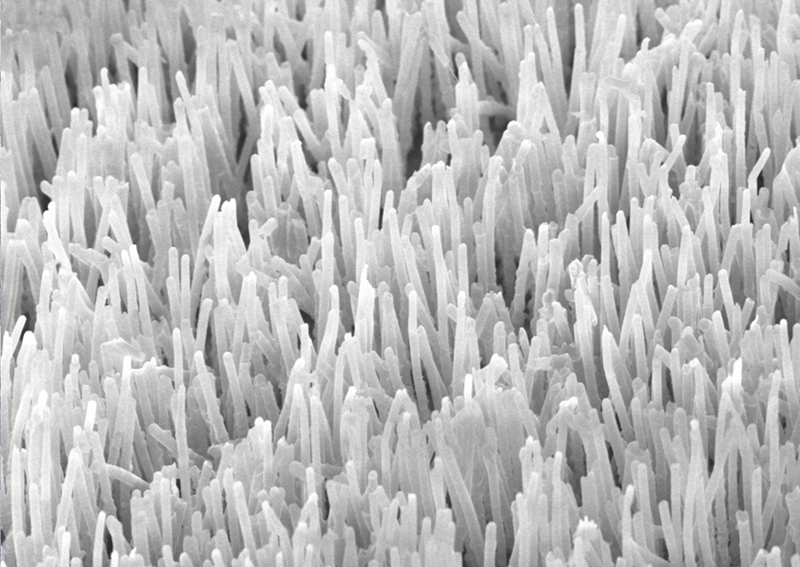 Micro and nanofiber structures are designed to provide high friction and adhesive forces through mechanical control of surface interactions. 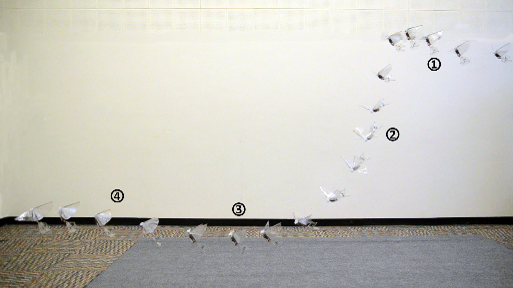 Bioinspired sensors and control strategies are being developed for coordinated flight of multiple ornithopters. 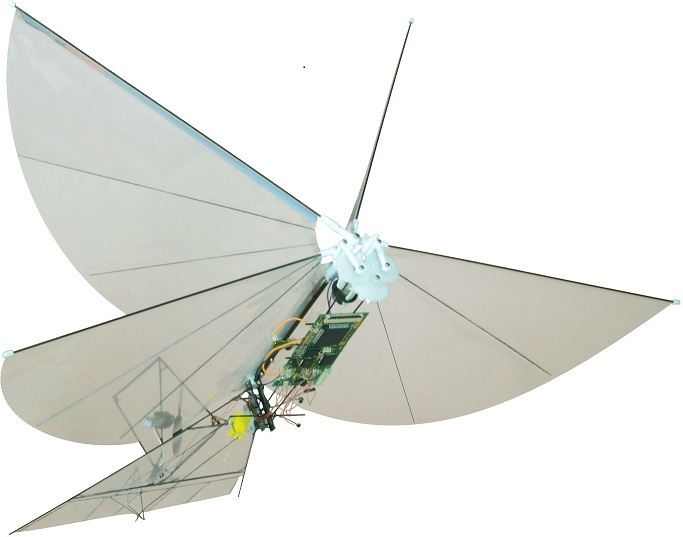 The goal of this project is to develop an autonomous 0.1 gram flying robot using insect-inspired wing kinematics.